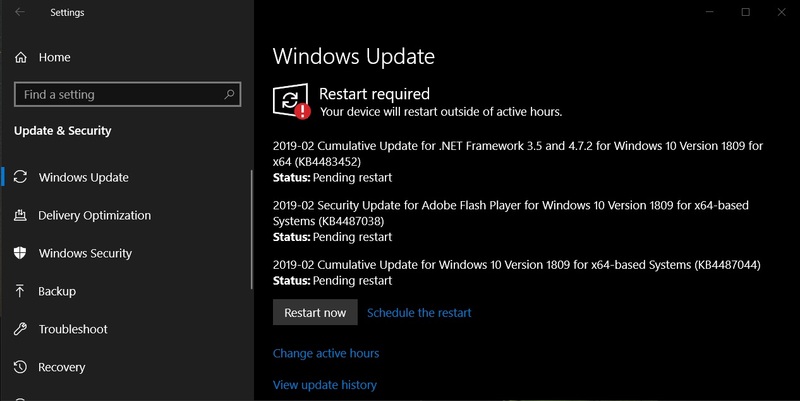 It’s Patch Tuesday and new cumulative updates are rolling out for supported versions of Windows 10, including the October 2018 Update, the April 2018 Update and the Fall Creators Update. The focus of Windows 10’s February 2019 cumulative update is on addressing the security issues and the general issues reported in the past few weeks. The Patch Tuesday rollout for Windows 10 comprises cumulative updates for all supported versions, including the October 2018 Update (version 1809), but you won’t get the update if you are using Creators Update or older with Pro or Home license. Users with Windows 10 Home and Pro license will receive the patches on Windows 10 Fall Creators Update, April 2018 Update, and October 2018 Update. Today’s update for Windows 10 has addressed the security and non-security issues. Addresses an issue that causes the Windows Hello for Business Hybrid Key Trust deployment sign-in to fail if Windows 2019 Server domain controllers (DC) are used for authentication. The error is, “That option is temporarily unavailable. For now, please use a different method to sign in”. If Active Directory (AD) activity tracing is enabled, a Local Security Authority Subsystem Service (LSASS) exception may occur in the Windows 2019 DC when processing a user’s sign in. Note: The AD Data Collector Set and Microsoft Azure Advanced Threat Protection (AATP) enable Active Directory activity tracing by default. After installing this update, some users cannot pin a web link on the Start menu or the taskbar. Microsoft is working on a resolution and will provide an update in an upcoming release. After installing KB4480978, some users report that they cannot load a webpage in Microsoft Edge using a local IP address. Browsing fails or the webpage may become unresponsive.